Most people need to take part in outdoor activities more, to improve their health. To do this, they need to be prepared by wearing the right clothing that will help improve their condition and protect them against any weather condition. We on Arrak Outdoor offers a vast selection of women clothes that are suitable for all types of outdoor activities, including exercise, hiking, biking, jogging, etc. 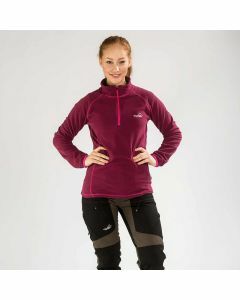 You can select women’s jackets, active stretch materials, sweaters, and other outdoor clothing accessories. These products are made specially to protect women while they are engaged in any activities. Arrak Outdoor women clothes for hiking and nature activities come with quality features including being made of polyester and cotton, which allows them to stretch and be comfortable. The stretch pants for ladies are treated with DWR, making them water repellant and easy to use. As a customer you can also shop different colors and sizes, depending on your desire and the kind of activities you are planning to engage in. Some of the women cloth items are made with breathable materials so that you can get ventilation and air during hot weather. We on Arrak outdoor’s primary aim to provide you with the perfect cloth to make your outdoor activities something to always look out for, which can help improve your health.